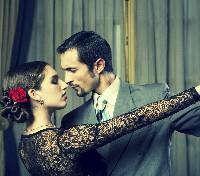 Explore Buenos Aires’ delights and take in a sizzling tango performance. 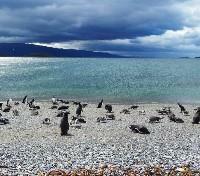 Explore the Beagle Channel by boat to spot penguins, cormorants, and seals. 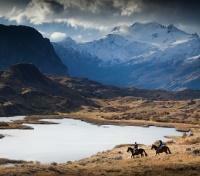 Trek and canoe your way through beautiful Tierra del Fuego National Park. 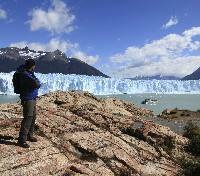 See Upsala Glacier and hike to the southern edge of Perito Moreno. Home to big skies, massive glaciers, endless asado feasts, and perhaps the world’s most sensual dance, Argentina doesn’t do anything by half measures. This adventure-filled journey lives up to that ethos, blending big-city excitement in Buenos Aires with bigger-than-real-life active thrills way down south in the wildlands of Tierra del Fuego, including glacier treks, penguin spotting, and much, much more. The Hotel Madero invites you to experience a new concept in contemporary comfort. 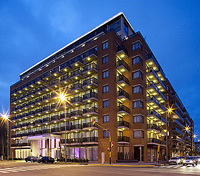 Ideally situated in the strategic area of Puerto Madero, the most modern neighborhood of Buenos Aires and just five minutes from the city center. The guest rooms are large and one can relax and unwind, with great views. Personalized service makes the hotel feel as warm and welcoming as your own home. Contemporary paintings and sculptures, most of them from local artists, create an interesting ambience in the hotel’s public spaces. The Puerto Madero area itself is a wistful and scenic spot and a great location from which to explore the fabulous city of Buenos Aires. 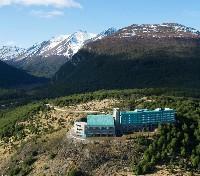 Fly from Buenos Aires domestic airport to Ushuaia. Note flights are subject to changes based on availability. The flight duration is approximately 3.5 hour. Separate purchase. A private airport transfer with a professional driver and English-speaking guide is included (between Ushuaia hotel and airport or vice versa). Set in a privileged location, Arakur Ushuaia is located within Cerro Alarkén Natural Reserve, just minutes from downtown Ushuaia and its major attractions. With a design based on sustainable architecture, Arakur Resort & Spa extends along a spectacular natural balcony situated 250 meters above sea level, surrounded by stunning panoramic views, native forests, natural terraces and green areas harmonically integrated into the environment. The magnificent Lobby welcomes the guests with its large windows, the warmth of their fireplaces, and a sophisticated decor made with materials such as wood, stone and natural fabrics. Arakur is much more than a luxury hotel –it is an experience that will be etched in the memory of its visitors. We will set off from the tourist pier heading southeast, sailing along Bahía de Ushuaia, with the beautiful view of the capital of Tierra del Fuego behind us. Once in the center of the Beagle Channel, we face the archipelago where Alice Island lies, inhabited by an important colony of imperial cormorants. During the tour, we will have the chance to watch the majestic ‘Ceja Negra Albatrosses’, Scuas and different varieties of seagulls, not to leave aside the beautiful Vapor or Alakush ducks. We sail on through the channel to the east in the direction of the Eclaireus archipelago where Isla de Los Lobos (Seals’ Island) is. At this island, we will watch the two different species of seals: single or double haired. On another island, the lighthouse named after the archipelago was built, and it was precisely in this area where the ‘Buque Crucero Mte. Cervantes’ was shipwrecked in 1930. Continuing east, we will sail between Almanza Port (Argentina) and Williams Port (Chile) to enter the area of Paso Mackinlay and then directly to Martillo Island where the Magellanic smart penguins will be waiting for us. From here, we will start to make our way back to Ushuaia, while having a look at Remolino Island’s coast where Mte. Sarmiento, the passenger and freight vessel lies. 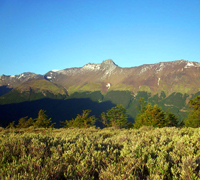 Tierra del Fuego National Park is one of the most popular and frequently visited places in Ushuaia; close to the city, it is easily accessible and a must see for outdoor enthusiasts. Today, along with your specialized Parque Nacional guide, discover the fascinating history of this stunning mountain paradise. Hike through lush and fragrant forests, canoe down freshwater rivers, and cross beautiful lagoons to access the famous Lapataia Bay. As you follow your guide you’ll learn about the geography of the area as well as the diverse nature and wildlife found in the region. Perhaps you'll even spot traces of ancient Yámanas settlements - don't forget your camera! Lunch is included and features delicious options such as chicken breast stuffed with ham & cheese accompanied by dauphinoise potatoes. Beverage options include bottled water, red wine & soft-drinks. Fly from Ushuaia to El Calafate. The direct flight duration is approximately 1 hour and 30 minutes. Kosten Aike Hotel, situated in El Calafate, utilizes traditional ancestral Tehuelche designs, reflected in the aesthetic geometry that defines every corner of the hotel. After spending your day exploring the magnificent glaciers and national parks of Patagonia, returning to the comfort of spacious and welcoming rooms is the perfect reward. Located two blocks from the downtown core of El Calafate and just minutes from the International Airport, Kosten Aike Hotel offers distinctive lodging for discerning travelers in the heart of Patagonia. 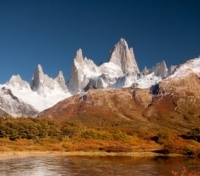 Nestled in the core of the Los Glaciares National Park, Estancia Cristina unveils its history and its natural environment. Outdoor activities, high Patagonian cuisine, and multiple panoramic vantage points are combined into a stay that is second to none. Its privileged location offers the best land access to the Upsala Glacier and the continental ice fields and turns it into a unique haven. Board a luxurious catamaran which leaves from Paraje de la Cruz, 25 miles from El Calafate, at the Punta Bandera harbor at 7:45 am to go to the Estancia Cristina. Enjoy the views as the boat sails amid ice floes alongside impressive landscapes located off the western shores of the Upsala Glacier. One of the most beautiful views of the glacier is its large ice flows floating adrift to the will of the wind along the Northern Arm and across Lake Argentino. The wind, the sun, and the rain give them their unique shape. After a tour in the surrounding area, discover the history of the Argentinian ranch of Estancia Cristina, vantage points of the glacier, and the local flora and fauna before having lunch (included). Chef Lorena Papasergio has created a cuisine style that mingles regional flavors with signature cuisine, featuring the best Argentinean meat, Patagonian lamb, and tasty smoked cheese. After lunch, you are welcomed to explore and discover the many nooks of this particular ranch. The scientific base of the Institute of Patagonian Ice - el Instituto del Hielo Continental Patagónico Argentino, the Upsala, Upsala Glacier, Murallón Glacier, Cono Glacier and Nido de Cóndores (Condors nest) refuge will also be visited following lunch. At sunset, the tour returns to the Estancia harbor in order to head for Puerto Bandera once again. This excursion takes all day and finishes at roughly 7:45 pm. 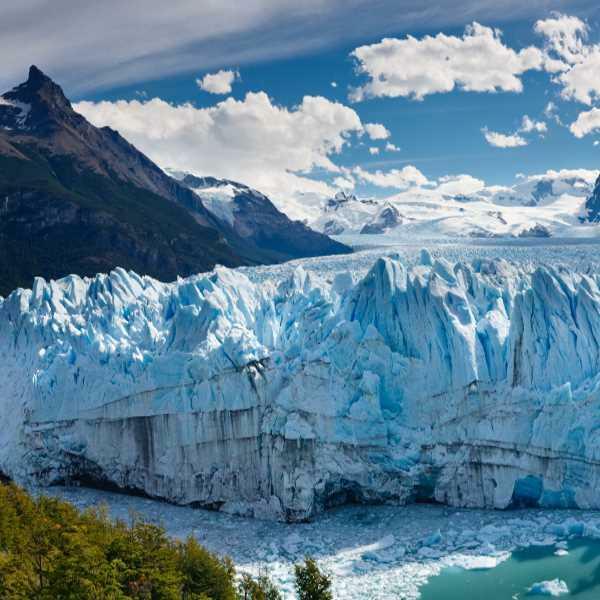 A must-do in El Calafate, today you will participate on a navigation that will bring you to the front of the southern wall of the Perito Moreno Glacier before a tour through the captivating forest and a mini-trek over the glacier. After being picked up at your hotel and driven to the Bajo de las Sombras quay you will board a ship for a 20-minute ride to cross the arm of Lake Argentino (shared service on boat). The ship arrives at a cottage where guides will divide all passengers into groups made up of roughly ten people; each group is assigned two guides, one walks at the front and another at the back. 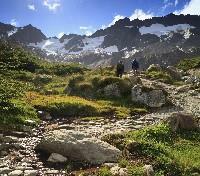 Together with your group and guides, you will begin a 20-minute walk towards the glacier that begins on the lake shore. Once you have arrived at the edge of the ice, you will be provided with crampons and instructions about how they are to be safely and effectively used on the ice. The trek over the Glacier lasts about one and a half hours, during which you will be able to see the crevasses, seracs, drains and small lakes that dot the landscape. 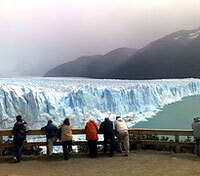 During the hike, expert guides will provide insights regarding the flora and fauna of the region, glaciology facts, and also some information about a unique phenomenon that takes place at the Perito Moreno Glacier when calving. Ending the hike, you will return to the cottage, walking through the lush Magellanic subpolar forest en route and later enjoy a boxed lunch. Upon return to the pier, the ship navigates through the channel of ice flows and then approaches the glacier’s walls. Here, you will have the opportunity to explore the many pathways on the glacier over an hour before returning to El Calafate. This tour lasts approximately six hours (between navigation and trekking). a) Age: Due to tour difficulty, this excursion is not offered to guests over the age of 65, children under 10, or to guests with physical impairments. b) Footwear: Any type of sport footwear, for example running shoes or trekking boots, is sufficient. Thick woolen or cotton socks are recommended. Rubber boots as well as high heels are not permitted. Passengers are only provided with crampons. c) Clothing: Sportive (long trousers for both sexes). It is advisable to wear a t-shirt, a sweater and a waterproof jacket or coat. Sunglasses, sunblock and gloves are also recommended as well as a cap or a hat in case it is cold. d) Lunch: Passengers must take their lunch boxes and only the groups which take the excursion during the morning have 40 minutes to have lunch at the cottage. Once embarked towards the Glacier, there are no purchasable products. Lunches are easily provided at most hotels, just ask them to prepare this for you. e) Smoking: It is forbidden to smoke during the excursion – it is not permitted on the boat, the forest, on the ice, nor at the cottage. f) Physical state: Normal. Passengers must know that they will walk slowly for approximately three hours through varied and irregular ground such as ice, forest, and stones. Pregnant women, people with a heart condition or other serious health conditions are not permitted to participate. g) Difficulty: Easy, but more complicated for elderly people with vertigo or guests in poor physical condition. 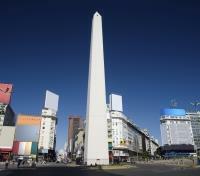 Enjoy a transfer in a private vehicle with a professional driver from El Calafate to El Chalten. 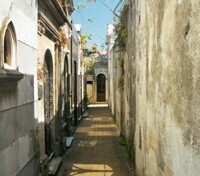 For your added comfort, a guide will accompany you on this three hour journey. As well, a boxed lunch is included. Don Los Cerros Boutique Hotel & Spa sparkles among the hotels of El Chaltén, with a beautiful hillside location that offers spectacular views of the surrounding valleys, lakes and Fitz Roy Mountain. The rooms feature large windows, making the landscape a key decorative element of the accommodation. All rooms have been tastefully decorated with a combination of natural, rustic and colorful materials. The hotel has a gourmet restaurant with autograph cuisine and valley view, and a spa where guests can relax and watch the sunset. 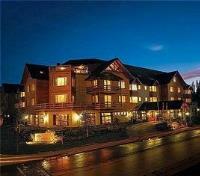 The hotel has Wi-Fi in common areas, and outdoor parking. Your private, escorted ride will arrive at 9:00 am to pick you up at your hotel. You will take the Laguna Torre trailhead from El Chalten. After an hour of hiking, reach the look out point of Cerro Torre. From here, walk another two hours until you reach the Laguna Torre (roughly 2000 feet above sea level), one of the principle attractions of the area. After lunch (included), return back to El Chalten along the same trail, arriving back at your hotel in the late afternoon. At about 8:30 am you will be picked up at your hotel, by van, which will take you along a route to Lodge El Pilar (11 miles), where you start the hike to Fitz Roy. Venturing through the valley of Rio Blanco, you can see the first viewpoint to Piedras Blancas Glacier. From there you will walk another one and a half hours until you reach the Rio Blanco Camp site, where another hour up the trail allows you to reach the Laguna de los Tres. 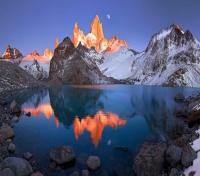 From the lake, there are even better panoramic views of Cerro Fitz Roy! You can also see Laguna Sucia and Lago Viedma in the distance. After enjoying lunch (included), we start the return to El Chalten taking the trail to Laguna Capri. The tour finishes at approximately 6:00 pm. 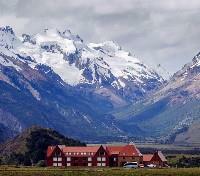 Enjoy a transfer in a private vehicle with a professional driver from El Chalten to El Calafate. For your added comfort, a guide will accompany you on this three hour journey. As well, a boxed lunch is included. 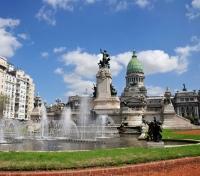 Fly from El Calafate to Buenos Aires domestic airport. The flight duration is approximately three hours. Flights are subject to change based on availability and are a separate purchase. An airport tax of $25- $40 pp is not included in the ticket and must also be paid at the airport upon departure. Enjoy the day with the comfort of a late hotel check-out, before departing on your late night flight. A private airport transfer with a professional driver and an English-speaking guide is provided.